We adore seafood. 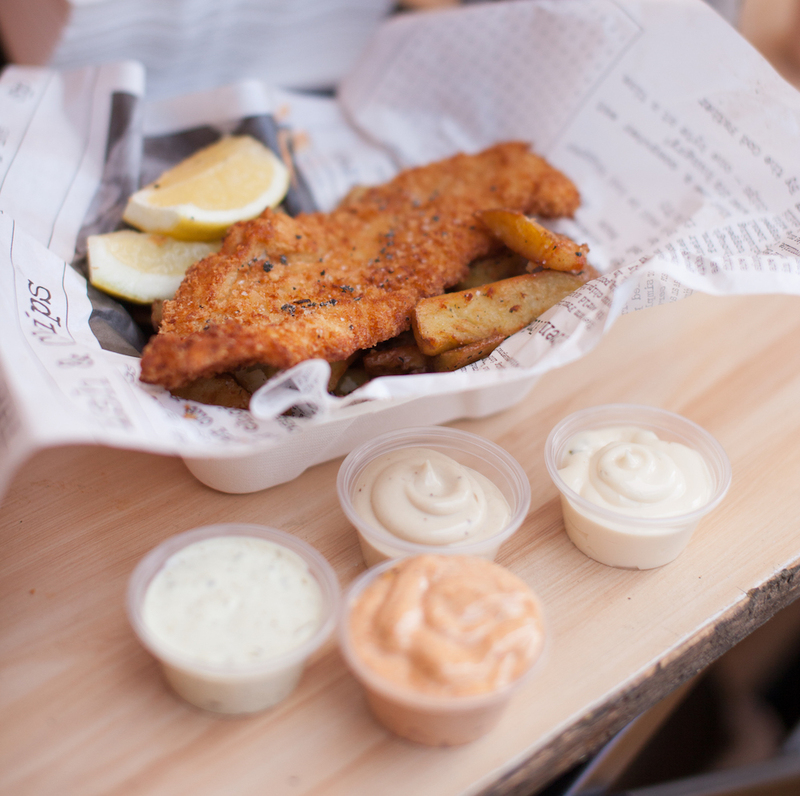 Passion for food, driven by fresh produce and focused on sustainable fish; that’s what Say Fish is all about! 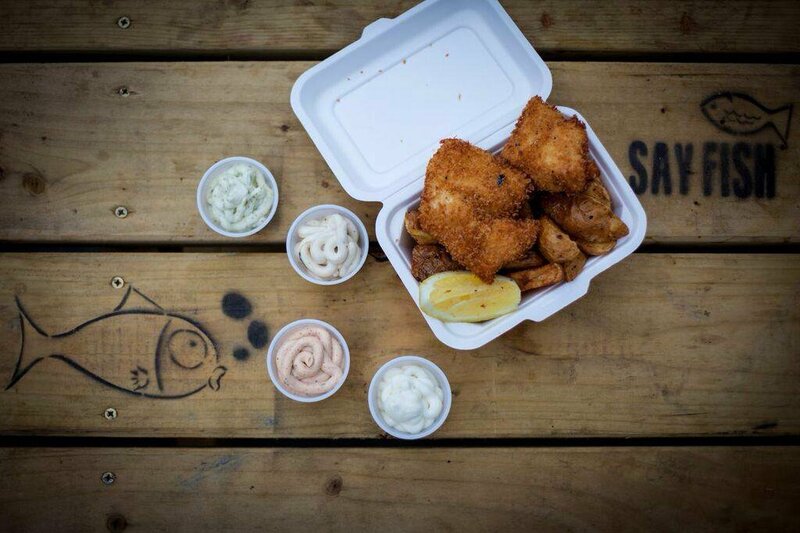 Say Fish serves delicious, gourmet-style fish and chip, established in 2010. Find us each week in the Irish Village Markets and Dún Laoghaire pier each weekend. Now catering for private parties, weddings, events and fuctions. 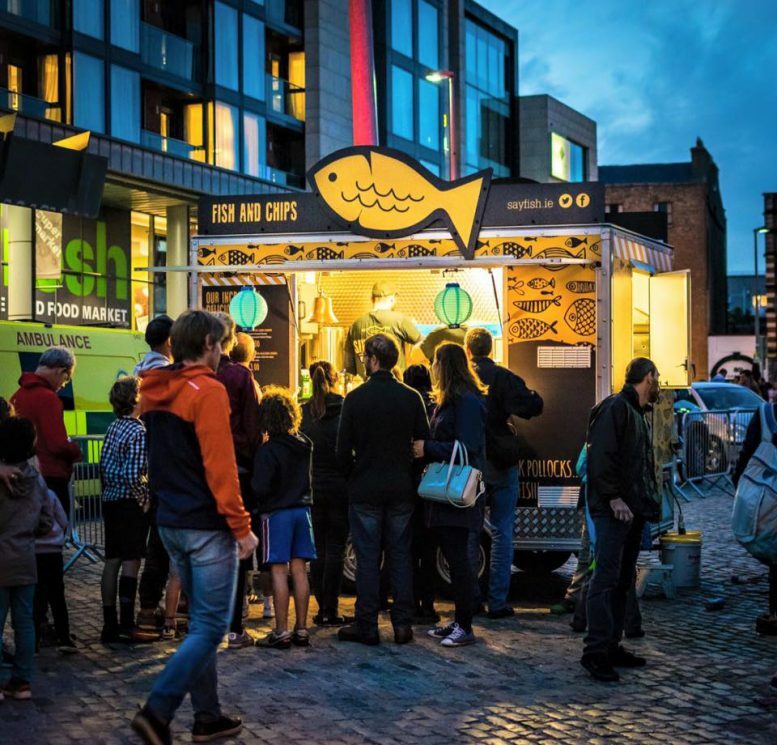 Come find us at our stall or truck and select from our delicious menu. Did you know we’re available for private hire? Click below for a quote.